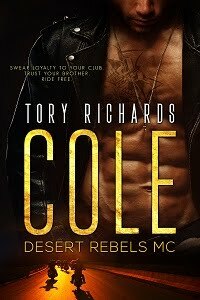 TORY RICHARDS: I AM DONE! Good lord, I just spent $250 on stocking stuffers and I am done Christmas shopping. I usually buy the girls, and by girls I mean my daughter and niece, the same stocking stuffers every year. They look forward to body lotions, toothbrushes, purse size hand sanitizers, nail polish and various other personal items. Of course they get candy, the good stuff, and my daughter gets a can of asparagus. She loves the stuff but it's so darn expensive. Gee, it was almost #3 a can this year. The girls always get a kick out of the practical gift I usually come up with. One year it was one of those car window breakers for just in case they get into an accident and end up in a lake. They can also use it for cutting the seat belt strap. Then another year I got them something that inflates tires in case they get a flat somewhere, they can at least make it somewhere safe to get it repaired. This year I bought them first aid kits for their cars. Well...I have a little granddaughter now and my niece commutes back and forth to college every week on the turnpike. You never know when a band aid will come in handy. I also got her Triple A for peace of mind. I think as people get older it's harder to buy for them. Anyway, I'm glad I only have a few to get for. Debbie...Good for you. When I still did Christmas gifts I loved doing stocking stuffers best...and you're right, it's easy to rack up mega dollars without even blinking. My special stocking stuffer was a can of fish roe (not caviar but fish eggs just the same called Herring Roe) - even more expensive than asparagus and seasonal on top of it. I love it and was raised on it (at a much lower cost years ago). It can be drained and just scrambled in a fry pan or my personal favorite...drained, an egg beaten in and fried in patties in a small amount of bacon grease. Whenever I happen to find it in the store, I will treat myself. Love your practical gift ideas...used to do this too along with some small frivalous something just for fun or something I knew the person liked but wouldn't buy for themselves. Have you ever had tongue? At least fish roe patties look something on the order of a potato pancake and admittedly could be acquired taste. The only tongue and pigs feet I've seen are in the meat section of the grocery store and I avert my eyes quickly. I haven't tasted either so it's the visual that repels me. I love pig skins...does that count? I actually don't know what blood sausage is. I can only handle one bite of liver. It always smells good but I simply can't get past the one bite. Nancy, you would like tongue, if you like ham. I didn't know the difference until my host told me what I'd just eaten. You can eat pigs skins but not pigs feet? Yuck to both! My mom loved both, too.